Pharmacy technicians support licensed pharmacists by providing education, information, and other healthcare solutions to patients. They perform the basic tasks to prepare prescription requests, such as calculating dosages, counting tablets, labeling containers and dispensing the prescription after the pharmacist reviews the order. Pharmacy technicians must adhere to a pharmacist’s directive. However, the role calls for a lot of independent work. They manage inventory, answer the telephone, maintain patient records, and perform other clerical duties. 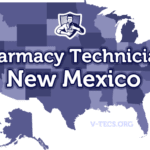 Due to the critical nature of the work pharmacy technicians perform, the New Mexico Board of Pharmacy requires individuals to register before practicing pharmacy. The requirements for training and certification also help technicians acquire the knowledge, precision, skills and competency to complete their tasks with accuracy and a consciousness of public health. Any individual who assists a pharmacist with the preparation and distribution of medication in New Mexico must first obtain the Board of Pharmacy’s approval by submitting an application for registration along with the appropriate fees. All technicians in New Mexico must obtain certification by completion of the requirements outlined by the PTCB or ICPT. However, the Board issues non-certified registrations for persons pursuing pharmacy technician training and certification. The non-certified registration is valid for one year; non-certified license holders must complete the requirements for certified registration within the allocated time or discontinue the provision of pharmacy services at state-licensed facilities. To receive the Board’s approval for registration, applicants must submit the name of the training sponsor along with the application. The training sponsor, usually a pharmacist-in-charge, will ensure the technician receives appropriate and ongoing training and registration to execute the roles and responsibilities of the job. The training sponsor will ensure technicians learn federal and state laws that govern the practice of pharmacy, ethics, medical and pharmaceutical terminology, dosage forms, and other essential topics. The training sponsor must maintain a record of the technician’s training and education in the pharmacy and ensure all technician employees comply with state laws. Pharmacy technicians must operate within the confines of the regulations and wear proper identification at all times while serving the public. Certified pharmacy technicians must renew their registrations biennially to continue practicing pharmacy. 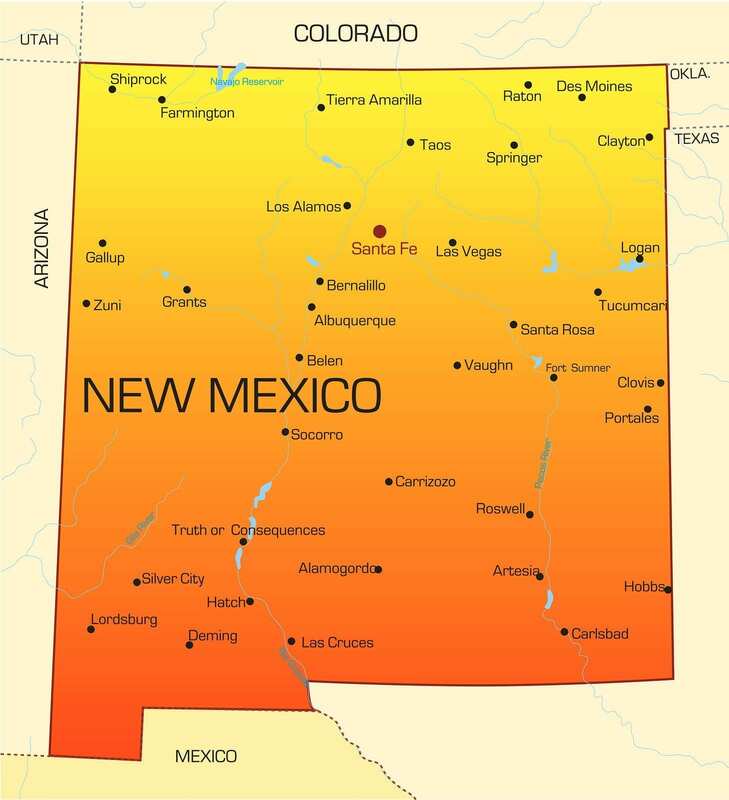 The New Mexico Board of Pharmacy requires applicants for registration to be 18 years or older. There are no high school or college degree requirements specified by state regulations. However, all technicians must pursue national certification to bear the CPhT designation, which requires them to possess a high school diploma or GED equivalent. Therefore, the Board, through the requirements for certification, expects candidates to fulfill the minimum education requirements outlined by the PTCB and ICPT. A pharmacist-in-charge must ensure all employees complete initial pharmacy technician training and document the contents of the in-house training as required by the Board. Pharmacy technicians must keep records of their training when changing employment. A background check is not a requirement for registration. However, the Board reserves the right to conduct criminal background checks on any applicant. Additionally, all individuals applying for registration must supply their signatures on the application after the statement attesting to no arrests, charges or investigations for a criminal offense in the state or another territory in the United States. Providing false information could lead to denial of licensure or renewal, or revocation of an issued license. The Board may also administer disciplinary actions to persons who supply false information on the application for registration. Pharmacy technician training prepares students for employment in this growing occupation. Both formal and employer-sponsored training combines classroom instruction with practical experience to produce well-rounded graduates. Training may cover more than 400 hours of didactic, hands-on, and practical training in the pharmacy setting. After completing the training, students will have the tools they need to succeed on the PTCB or ICPT exam. The course content at New Mexico’s sole ASHP accredited training provider consists of 600 hours of classroom and lab instruction followed by practical training in two pharmacy settings; a retail and hospital pharmacy. The course topics include anatomy and physiology, medical terminology, drug classifications, law and ethics, pharmacology, pharmacy calculations, and alternative medicine. Other topics include aseptic techniques, repackaging and compounding, processing prescriptions, OTC medications, billing, stock, and computing. Dosage forms and routes of administration. Upon completion of training, pharmacy technicians can take the national exam to register as Certified Pharmacy Technicians with the Board of Pharmacy. Pharmacy technicians who acquire their training on the job do not have the burden of tuition, registration, textbooks, and other expenses associated with traditional training. The best part of employer-sponsored training is that students earn while they learn and meet the Board’s requirements for training and continuing education. The expense requirements depend on the employer; some employers will sponsor everything from the textbooks, workbook, uniform and state registration while others may require students to pay for registration and other miscellaneous costs. The duration of the training also depends on the pharmacist and could vary from 6 months to 1 year. Technicians must fulfill the Board’s requirements for training and certification within one year of their initial licensing. The PTCB and ICPT both offer national exams that lead to CPhT certification. Fortunately, for New Mexico residents, the state Pharmacy Board accepts certification from both organizations, so it’s left for technicians to determine their preferred agency. The PTCB is a widely recognized and endorsed organization and has been around longer than the ICPT. However, there is no evidence to suggest that one exam is better than the other. The Pharmacy Technician Certification Board (PTCB) offers the Pharmacy Technician Certification Exam (PTCE). For many years, it was the only certifying exam available for pharmacy technicians. Candidates for the PTCE must submit their requests online along with accompanying documents to verify age and completion of high school or equivalent education. The PTCB may also require applicants to perform a criminal history check before authorizing the candidate to take the certifying exam. By the year 2020, the PTCB will require candidates to complete formal pharmacy technician training as a prerequisite to certification. The PTCE is two hours long and contains 90 multiple-choice questions; 80 questions count towards the final score. Upon successful completion of the exam, technicians will receive a certificate and authorization to use the CPhT designation. The cost for PTCB certification is $129 for initial registration and $40 for renewal every two years. The Examination for the Certification of Pharmacy Technicians (ExCPT) is the second option for acquiring certification as a pharmacy technician. The exam, established by the Institute for the Certification of Pharmacy Technicians (ICPT), was initially only accepted by a few states. In a few short years, more than 30 state boards recognize the exam. Individuals desiring ICPT certification must be 18 years or older with a high school diploma or equivalent education. The ICPT may also conduct a criminal background check and request proof of formal pharmacy technician training or evidence of at least 12 months of pharmacy technician employment. The exam is a two-hour exam comprising of 110 multiple choice questions. The registration fee is $105 for two years. Technicians must renew biennially at a cost of $40 to maintain certification. The New Mexico Board of Pharmacy regulates licensing of pharmacy technicians. According to the Board’s regulations stipulated in “regulation part 22,” no individual shall perform the duties of a pharmacy technician without proper registration from the Board. Students and newly hired individuals must register as non-certified or certified (after completing the PTCB or ICPT requirements for certification) pharmacy technicians before practicing pharmacy. Non-certified pharmacy technicians must complete the requirements for registration as Certified Pharmacy Technicians within one year of the original registration. New Hampshire’s Pharmacy technicians may register as a “Non-certified Pharmacy Technician” or as a “Certified Pharmacy Technician” after completing a national certification exam and Board-approved training. The application for initial registration is available for download online. The registration fee is $30 for both non-certified and certified technician applications. The check or money order should be payable to the New Mexico Board of Pharmacy. Applicants must provide their social security on the form and a copy of a state ID. Non-certified technicians must complete the technician training record (included with the application) signed by the Pharmacy Technician Training Sponsor. Certified pharmacy technicians must include a copy of their current certification from the PTCB or ICPT. All applicants must sign the application attesting to no arrests, convictions or disciplinary actions. Individuals with convictions or disciplinary actions should include supporting documents with the completed application. After receiving the completed application, fees, and required documents, the Board will process the request within 5 to 10 days. Applicants may not work as pharmacy technicians until the Board confirms approval. Non-certified pharmacy technicians must discontinue pharmacy technician duties if they fail to pass the national certification exam within the first year. All technicians must notify the Board when changing/leaving the employment of a pharmacy or clinic. Use the online renewal portal after the Board sends the renewal notification package or simply download the renewal form and mail to the Board of Pharmacy address provided below. The Board requires 5 to 10 days to process renewal requests, so mail your application early. The fee for late renewal is $7.50. Enclose the $30 renewal fee using a check or money order payable to the New Mexico Board of Pharmacy. Attach a copy of your current certification. Include your social security number and sign the form, attesting to no convictions and disciplinary actions. Use the Change Reporting Form to notify the Board of changes in your name, address or employment. There is no reciprocity of technician registration in New Mexico. Pharmacy technicians, registered in other states must re-train in order to work as pharmacy technicians. The Technician Training Sponsor will document and provide verification of training to the Board, which must be submitted with an application for registration.